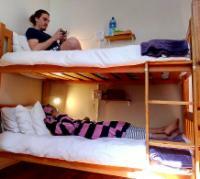 A Sunflower Stop is a backpackers hostel that offers relaxing and comfortable accommodation for budget travellers in Cape Town. Nestled between the mountains and sea, the backpackers hostel is in the perfect location to enjoy your time in Cape Town and the beautiful Western Cape of South Africa. Our central location to the City Centre and the V&A Waterfront, as well as Cape Town's trendy nightlife, is just steps away. A quick taxi ride will take you to Cape Town's stunning beaches or to the world-famous Table Mountain. A Sunflower Stop is located 400 m from the Cape Town Stadium. We offer spacious Dormitories, Double Rooms, Twin Rooms and Quad Rooms. There is a self-catering kitchen and a TV lounge. 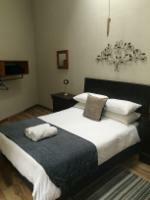 Our luxury backpackers offers affordable accommodation for every budget. All the backpacker dormitories have individual secure lockers. We offer breakfast at an additional charge. Check out our specialist backpackers tour desk for helpful travel tips and the best prices in town, for day trips and adventure tours around the Cape Peninsula. We also offer a booking service for tours around the Garden Route, Kruger National Park safaris and overland safaris throughout the rest of Africa. So come and make yourself at home with our friendly staff, cool off in our refreshing sun-filled swimming pool, relax at the cosy bar or feast out on one of our weekly braais. Whatever your taste, we will help cater to make your time in Cape Town an unforgettable experience. First night of booking will be taken on booking date and this will be non refundable. Check in 2pm but guests are welcome to bring luggage any time after 8am on day of check-in. Breakfast is available at an extra charge. A Sunflower Stop is 2.6km from the centre of Cape Town , the nearest airport 22.6km (Cape Town International Airport).